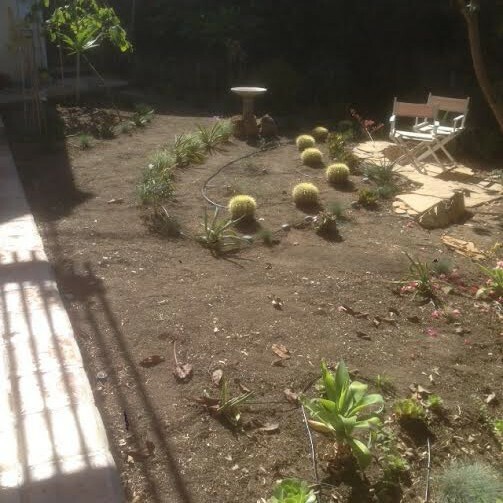 Over the summer we have been sharing with you the process and progress of turning what was once a verdant and lush southern California backyard into a space that can survive the historic drought that all of California is suffering at the moment. 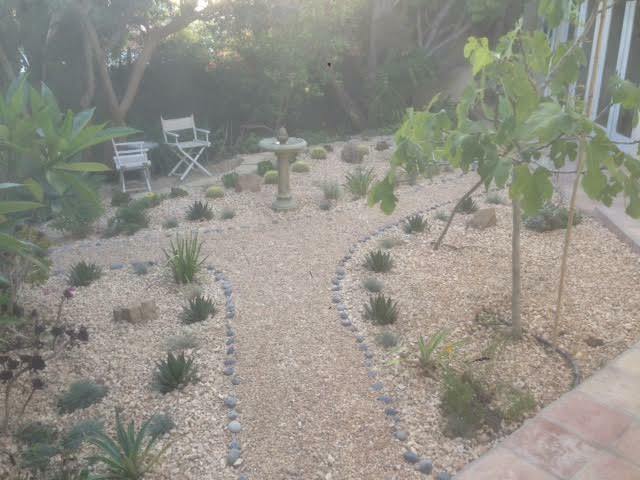 We last left you with an update on the plants that were chosen and a view of the pathways that had been carved out, just waiting to be filled with the gravel and decomposed granite we chose. You can also catch a sneak peek of door hardware from our Lizard collection on the right. 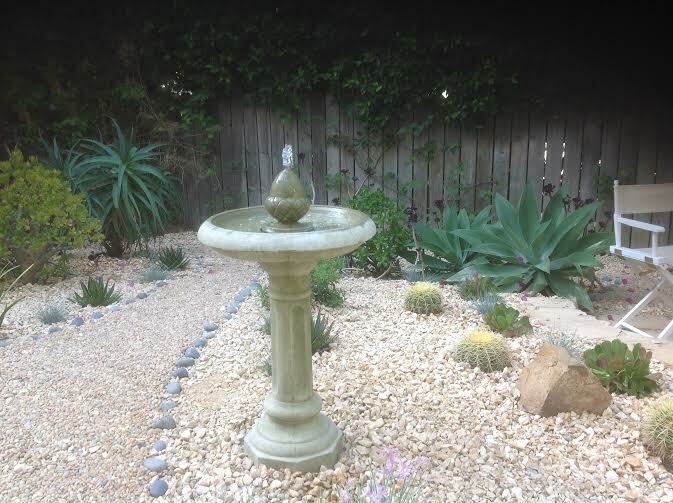 We were very excited to not only find the perfect new birdbath from Reseda Pottery, but to also be able to repurpose our old birdbath. 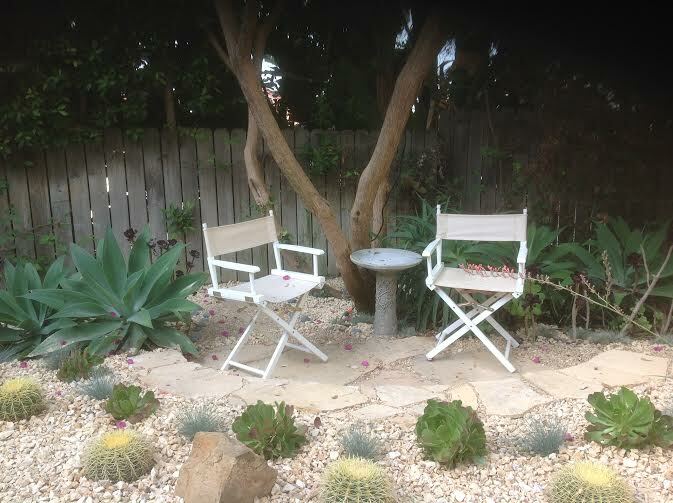 We cemented it in between the two chairs and added a top to create a small table that is sized just right for sharing a glass of wine on a warm evening and enjoy our new landscape. To view our entire collection of architectural door hardware, visit our site at http://www.martinpierce.com. 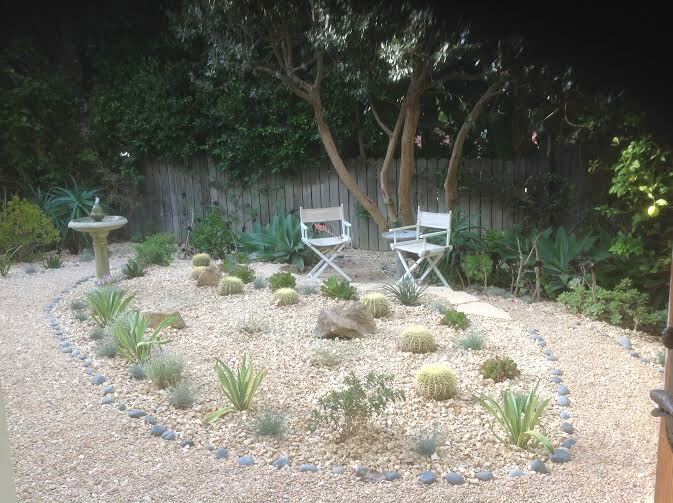 This entry was posted in architectural hardware and tagged drought resistant gardening, drought tolerant garden, drought tolerant plants, repurposing birdbath. Bookmark the permalink.